6 months across 9 countries in Southeast Asia with only about 2,500 USD. Impossible? Travel blogger Lois Yasay Ribeiro of We Are Sole Sisters did just that. 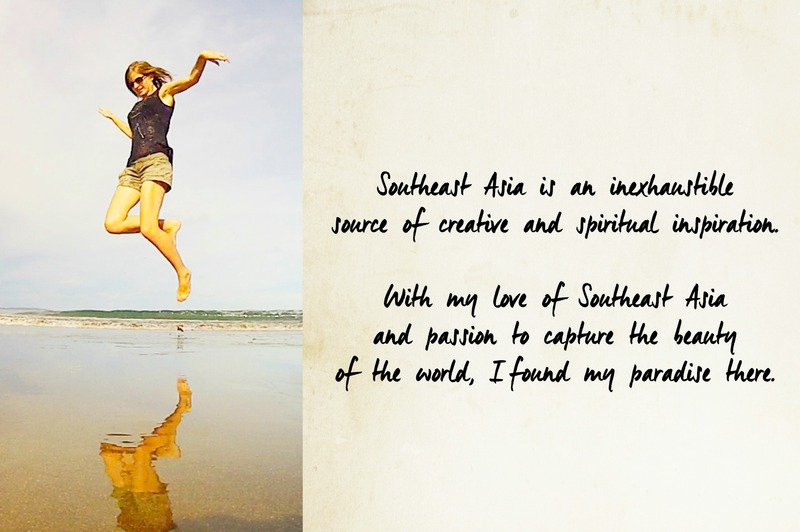 She now answers your question: "Where Should I Go in Southeast Asia?" by ranking all the countries she had visited. 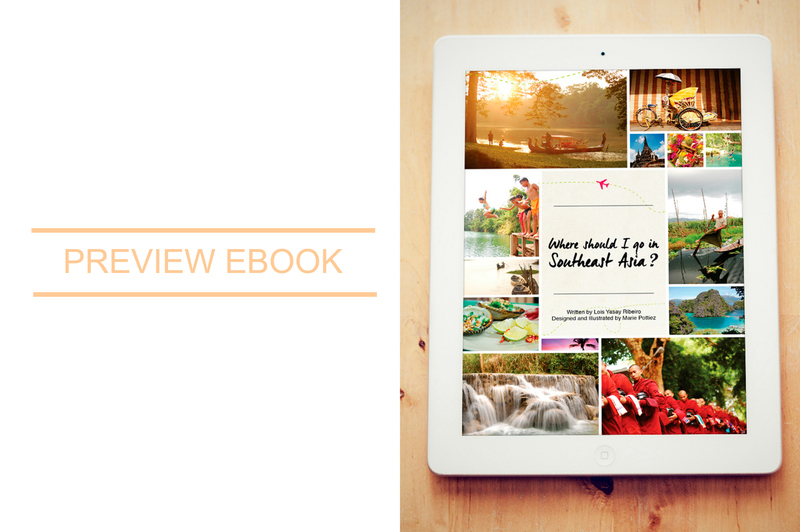 In this ebook, she also shares her insider recommendations on where to stay, what to eat, and what to do. She reveals her route and itinerary to take you on a soleful journey across Malaysia, Indonesia, Thailand, Myanmar, Philippines, Laos, Vietnam, Cambodia and Singapore. With the help of artist Marie Pottiez of Miles of Happiness, they invite you to go visual vagabonding through a hand drawn map, sketches, and images. 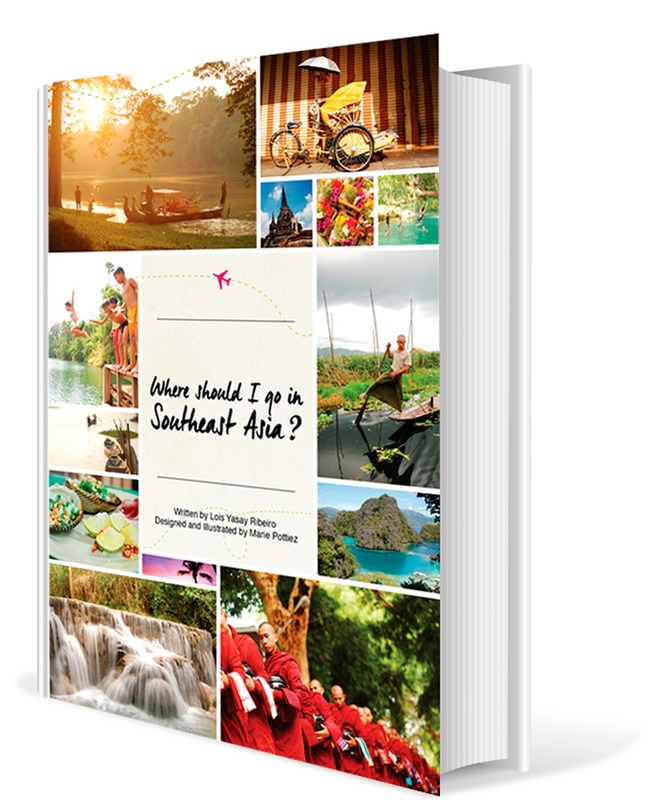 This is NOT the Ultimate Guide to Southeast Asia. It's a box filled with cherished memories, unexpected detours, and secret destinations. Every page is thoughtfully written and designed to induce wanderlust! ► Which countries should I include in my Southeast Asian adventure? ► What can I expect in each country in Southeast Asia? ► How much time should I spend in each country? ► How much money should I bring on my trip? ► What's the best route to take if I want to see each country on a budget without having to backtrack? ► Can I go overland or should I take flights? ► What experiences and activities can I do in the region? ► Can I really do this on my own? I just got this e-book by We Are Sole Sisters and Miles of Happiness and I fell in love with every turn (or scroll) of the page. Lois weaves a lovely tale of her journey through the region with honest insights, superb recommendations and gorgeous photographs. Marie's charming design and delightful illustrations are a perfect match to Lois' engaging accounts. I'd love to see this book in print, but I also appreciate how I can easily click to links to related blog posts and websites for further details and information. If you are thinking of going to SE Asia, or if you love beautiful travel books, or if you want to be filled with inspiration for future travels - get this book. Congratulations on your ebook! It is so beautiful and inspirational! I just love it! For anyone wanting to travel through South East Asia, this is definitely one book to have for all your travel resources! Thank you! PS: I just feel like buying a plane ticket now! Feeling so inspired! Really love it! The words and images are lovely. I've been to all the countries, but not to every city and someday soon I am going to visit them all. "I just finished reading your guide and I wanted to tear up... but it's because of a good thing! You made me miss Southeast Asia so much! I absolutely LOVE your guide and the design is absolutely fitting for your content. Seriously I don't have anything to add because you got it all down so well -- I couldn't have asked for a better guide myself (and also because some of the countries were places I haven't been to yet, so I definitely learned lots of tips now haha!)" "It was just wow. The eBook is enough to hype me up to continue my plan to travel and explore SEA. From it, I realized that since I cannot afford to travel for more than 2 weeks, I may need to focus my itinerary on Indochina (comprising Cambodia, Laos, Myanmar (Burma), Thailand, Vietnam, and West Malaysia). It was short but very concise. At once, I was able to pickup the things that I needed to do on each country…where to stay & eat." "It's a beautiful idea and I’m loving the easy reading style of the book, makes me wanna go to Asia right now!" "I'm finally done reading this wanderlust inducing ebook from We Are Sole Sisters and Miles of Happiness. It made me remember the days when I was still dreaming and plotting my own South East Asia route.This ebook, made me realize the beauty of slow travel. I wish I can take time to slowly unpack and spend months in one location but until then, I will make the most of how little time I have in each country. And this ebook will definitely come very handy. It's concise but full of useful information. To those who want to travel South East Asia, start by actually making a plan. Dont think about excuses yet. Just plan, send those dreams and wishes to the universe and have enough faith that dreams do come true. Check this guide because you will find a ton of useful information here plus Marie's quirky art will surely inspire you. And as what Lois said, 'You may get lost, get dirty, lose some money, maybe even some of your dignity. You will lose a few more things along the way: your inhibitions, misconceptions, and irrational fears.'" "This may not be the most comprehensive and complete resource for the ultimate backpacking adventure in Southeast Asia but this is one of the most heart-felt guide I have ever read. The details given are simple and short so you aren't bombarded with so many things to choose from. You only get a handful of recommendations and it is all up to you to choose from. Plus, we kind of share the same interests like immersing in nature more, culture and heritage, she also loves sunsets, eating local cuisine..."
"The best parts of this book for me are the tips to make the trip enjoyable yet affordable on a shoestring budget even in high-end, fancy countries such as Singapore and Malaysia. She emphasizes the warmth and hospitality of the Asian people that matches the beauty of their country. Needless to say, this is a timely book to have and hold for any adventuresome traveler, newbie or seasoned, that plans to sample the best that Southeast Asia has to offer. Lois displays a vast array of information that only a first-hand experience can give. The heartwarming style of writing that she maintains all throughout her book easily shows that this is a work that came straight from her heart."